This year, Raksha Bandhan will be celebrated on 7th August, 2017. Surprise your family and siblings with these quick and delicious desserts. Happy rakhi! Indians, across the world will be celebrating Raksha Bandhan today on 7th August 2017. The festival marks the bond of love, faith and protection between a brother and his sister. On this holy occasion, sisters apply a tilak on their brother's forehead, and tie a beautiful thread around their wrist, and finally conclude the ritual by offering him delicious sweets. Raksha Bandhan literally translates into 'the bond of protection'. As the sister ties a rakhi or the holy thread around her brother's wrist, he pledges to protect her against all adversities in life, and showers her with blessings. But do you know why we really celebrate this festival and what's the legend associated with it? There are a number of myths and stories that surround Rakshabandhan. It is believed that before the epic battle of Mahabharata, Draupadi tied a rakhi on Krishna's hand when he hurt his finger while setting off his sudarshan chakra against evil king Shishupalal who had insulted the Lord over hundred times. As Krishna's slashed finger bled, Draupadi tore a piece from her sari and tied it around Krishna's hand. Krishna in return vowed to protect Draupadi against all adversities in future. According to a popular legend, when Alexander the Great was out on his legendary invasion spree in 326 B.C , he encountered the Great King Puru of the Paurava Kingdom who was giving the conqueror sleepless nights with his tough fight. When Roxana, wife of Alexander heard of the Indian festival- Raksha Bandhan, she sent King Puru the holy thread of bond and protection, and in return King Puru accepted her as his sister. During the war when King Puru came face to face with Alexander he refrained from killing Alexander and kept his promise. Another folklore that one can recall is the auspicious bond forged between Mughal Emperor Humayun and Rani Karnavati of Chittor, during the perilous times of the invasion of Chittor by Sultan Bahadur Shah. It is believed that Humayun set off with his troops to defend Rani's fortress in Chittor during the dreadful attack. When the British were trying to suppress the mass uprising against them with their divide and rule policy between Hindu and Muslims, Rabindranath Tagore initiated a mass Raksha Bandhan festival during the infamous Bengal Partition(1905), and encouraged Hindu and Muslim women to tie rakhi on the wrist of men from other community,and make them brothers for life. Celebrate this Raksha Bandhan with these quick and easy rakhi recipes. Prepare these desserts at home to make it extra special for your siblings. Fill this occasion of sibling love and bonding with this fragrant and milky dessert. This all-time favourite festive delight made with khoya and dipped in saffron flavoured sugar syrup, is sure to be loved by all. Bengal's favourite sweet made with cottage cheese, cardamom and saffron is one of the easiest way to make someone smile. Loaded cashew nuts and milk and then decorated with silver varq, festivities are incomplete without Kaju barfi or Kaju Katli. 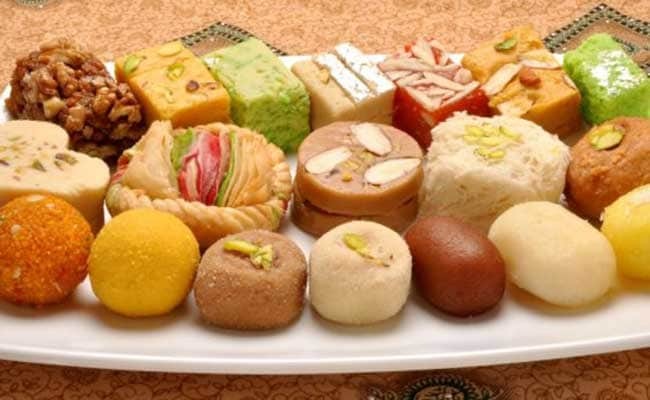 If you want to take it a notch higher, try this interesting dessert from the Awadh region. It is believed to have been invented out of a way to use up unused bread in the nineteenth century Mogul cuisine.